If you or a person you love has been charged and detained for an offense, it can be a very stressful situation to be in. Being arrested not only makes it impossible to go to work and be with your loves ones, it can make different day to day routines difficult. It doesn’t matter the time of day or night, Indiana Bail Bonds can help you secure your bailout with the help of our 24/7 bail services and bail bondsman in Princeton, IN. We are a bail bond company who is certified to offer expert bail services and compassion to anybody who needs our help. It doesn’t make a difference what you have been charged with, our bail bond agents will treat you with the respect that you deserve and obtain your release in a timely manner. This can be a very stressful circumstance for you and your loved ones, but our bail bond agents will always go above and beyond to ensure you get fast and reliable services. Indiana Bail Bonds operates 24/7 and can make your bail bond process more timely by offering to go to you to secure your release from jail. In times of detainment, having a bail bond agent who isn’t just knowledgeable in the bail process but also has your best interest at heart is important. Our bail bondsmen are ready to walk you through the complete bail process, responding to all the questions questions you may have and offering helpful and reputable services. You can feel confident that when you work with our bail bond company, you are working with a knowledgeable bail bondsman who will take care of you. Don’t hesitate to call us today at 317-423-9300 when you require the help of a reliable and certified bail bondsman in Princeton, IN for bail. 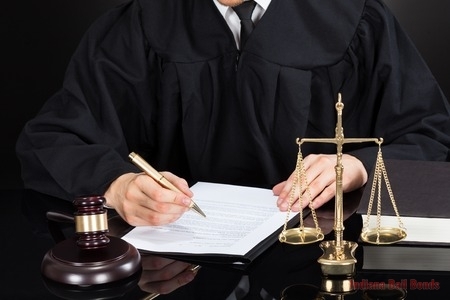 At Indiana Bail Bonds we are committed to assisting our clients no matter what kind of charge they have, so we supply a variety of bail services that are sure to obtain their release quickly. Our bondsman are able to help you secure your release for an array of charges like domestic violence, warrants, and theft. Our bail bond company offers a wide range of bail bonds services, which you are able to discover more about from reading more at the bottom. Arrest Warrants When you want a warrant for your arrest lifted and aren’t sure where to turn, contact us immediately. Bench Warrants Receive the expert help that you need for dependable and licensed services for your bench warrant. Probation Violation Bail Allow our staff of licensed bail bondsman help you secure your release with our probation violation bail bonds. Theft Charge Bail Do you need bail for felony or misdemeanor theft charges? Get in contact with our bail company now. Our skilled and knowledgeable staff is available to help, so dial 317-423-9300 to talk to a bail bondsman in Princeton, IN today. With a felony charge, you will require a specific kind of bail bond as well as a licensed bail agent to assist you. If it’s drug possession or fraud, Indiana Bail Bonds offers bail bond services no matter what kind of crime you were accused of. A felony charge is frightening and overwhelming, but our bail agents work closely with you to make sure you understand the bail process and what to expect. If you need felony bail, contact our bail bondsman in Princeton, IN right away at 317-423-9300 for instant custody release. While charges for a misdemeanor aren’t the most serious thing you can be accused of, it can still wind you up in custody. Let our bail bondsman in Princeton, IN make the process easier and get your release from custody immediately with our dependable and affordable misdemeanor bail bonds. Getting arrested is overwhelming and needs the help of a expert, and with the help of our knowledgeable bondsman, we will make this situation a little smoother for you. To procure your release from custody, contact Indiana Bail Bonds at 317-423-9300 today to get out of jail with our misdemeanor bail bonds. There will be times where the only kind of bail that can procure your release from custody is surety.In some instances, surety bail bonds will be the only kind of bail bond you are able to use to be released from jail. 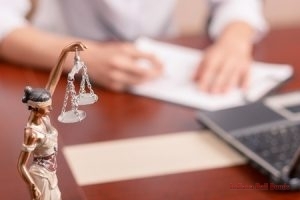 A magistrate will recommend a surety bail for a number of reasons, but it can be quite a bit of money. When you need fast and dependable surety bail services, the bail bondsman at our bail company can offer a safe release for you or someone you love in no time. When you need our bail bondsman in Princeton, IN to give you additional information regarding our surety bail bond process, just contact our team at 317-423-9300 for more details. 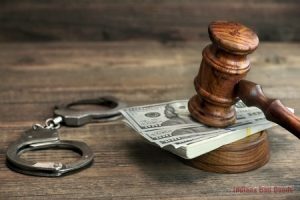 There are numerous bail bonds and some can be utilized for all situations, but there will be others that are required for a particular crime. 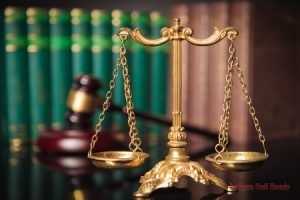 State and federal bail, for example, must be used when a person is charged with violating a federal or state law. 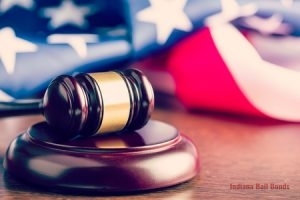 At Indiana Bail Bonds when our clients want a federal or state bail bond to be released from jail, we have got them covered. Federal Bonds If you have a federal charge and need to be released from custody, contact our bail bonds company for federal bail bonds. State Bonds Get quality and reliable state bail services today by calling Indiana Bail Bonds now. Contact our bail bondsman in Princeton, IN at 317-423-9300 when you need federal or state bail bonds to procure your release from jail. It doesn’t matter if you have been arrested for a DUI or you have been charged for possessing an illegal substance, the bondsman at our bail bonds company are able to help you get released from custody with a drug charge and DUI bail. On top of our DUI and drug bail bonds, we also offer bail bonds when you have been charged with a weapons crime. Drug Charge Bail Bonds Contact our bail bond company anytime for drug charge bail and get released from custody fast. Weapons Violation Bail Bonds With our bail for weapons offenses, our bondsman are able to help you get through the process promptly. Regardless of the offense, our bail bondsman in Princeton, IN are available to help, so give our bail company a call at 317-423-9300 for our expert assistance. There are situations where you will have to be taken from custody quickly. If this happens, you need a professional bail bondsman in Princeton, IN who can procure your release from custody fast. Our bail agents provide emergency bail bond services, ensuring customers are released from custody quickly and without any problems. 24/7, our bail agents are here to help you no matter what kind of offense you or someone you love has. For emergency bail service, please call our bail bond agents in Princeton, IN at 317-423-9300 for assistance.